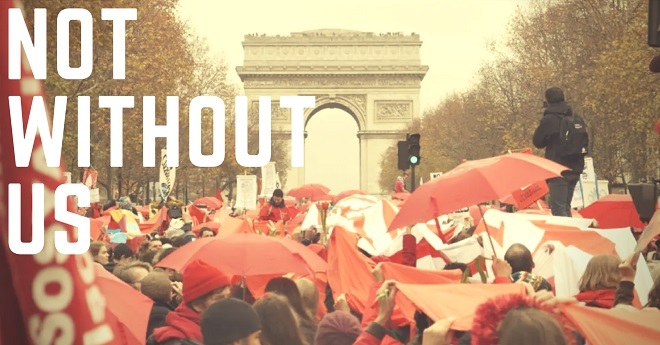 Join us for a special screening of Not Without Us, a 2016 documentary that follows seven grassroots activists from around the world as they travel to the 21st U.N. Climate Talks in Paris. The event will be held at the ImageNation’s Raw Space and run from 6:00-9:00 PM. Wine and refreshments will be provided, so this is a pay-what-you-can event with a $15 suggested donation – though no one will be turned away for lack of funds.